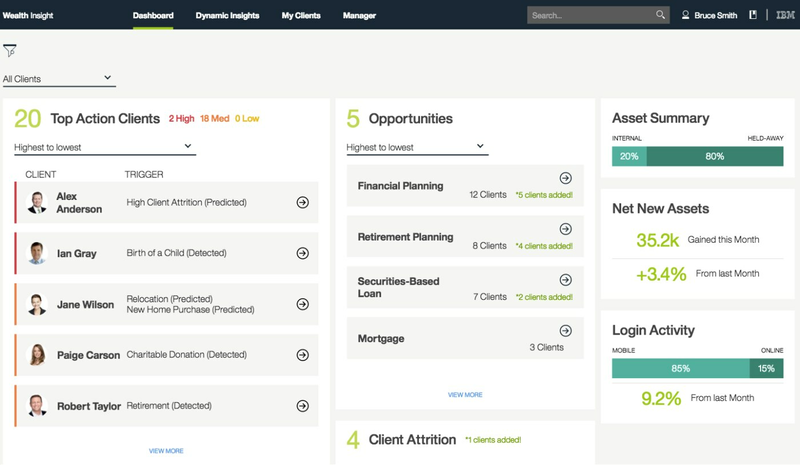 Dynamic behavioral segmentation of clients with group or individual patterns and financial profiles enables more personalized client management. Life event prediction allows for proactive client lifecycle management and timely product offers. Client attrition prediction with recommended actions helps improve retention. Product propensity based on deeper client understanding.